U.S. home prices rose by 0.10 percent in July according to the S&P Case-Shiller Housing Market Index. San Francisco, California edged past Denver Colorado with a year-over-year price increase of 10.40 percent as compared to Denver’s reading of 10.30 percent. All year-over-readings for the 20-City Home Price Index posted gains, but Washington, D.C. showed the lowest year-over0-year growth rate at 1.70 percent. Chicago, Illinois and New York City followed closely with year-over-year readings of 1.80 percent and 1.90 percent respectively. Although seasonally-adjusted home prices typically rise during the peak home selling season during spring and summer, July’s reports indicated that seasonally-adjusted home prices fell by 0.20 percent in July. Factors including tough mortgage approval requirements and low inventories of available homes likely contributed to slower growth in home prices as demand for homes fell. Would-be home buyers may also have sat on the sidelines awaiting the Federal Reserve’s decision regarding raising rates. The Fed has not raised rates yet, but may do so in October. Mortgage rates are expected to rise when the Fed raises its target federal funds rate, which is currently set at 0.00 to 0.25percent. Case-Shiller reported that as of July, the West continues to see the highest rates of home price growth. Over the past 12 months, only San Francisco and Denver have shown double-digit growth in home prices. Los Angeles, San Francisco and San Diego, California have shown the strongest increases in home prices since 2000. Home prices for cities included in the 20-City Index have risen 35.70 percent since home prices hit their post -recession low in 2012, but remain 13 percent below the housing bubble’s peak prices. All cities in the 20-City Index posted price gains year-over-year as of July and 14 cities posted higher price gains than for the comparable period ending in July 2014. 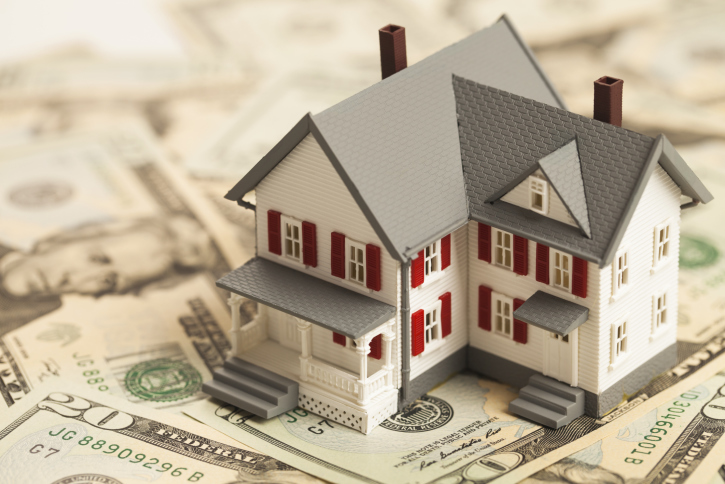 The Federal Housing Finance Agency recently posted a year-over-year gain of 5.80 percent for home prices associated with mortgages owned or backed by Fannie Mae and Freddie Mac. This news further supports the trend of moderate gains in U.S home prices; moderate growth in home prices could encourage more moderate-income and first-time home buyers to buy homes, particularly in advance of the anticipated increasein mortgage rates when the Federal Reserve raises interest rates. It’s difficult to begin shopping around for a new mortgage without the facts on how this can affect your FICO score. Anybody who is holding off for fear that their credit score will be ruined by multiple credit checks has nothing to worry about. Mortgage brokers require this information to give an accurate quote, so many credit checks by different companies will have a miniscule effect on credit scores. The system has been designed this way because a mortgage is not considered to be ‘bad debt’ by lenders and consumers should have the right to shop around without fear of their credit being destroyed by it. FICO scores are affected each time a credit inquiry is requested to check a borrower’s credit report. This makes sense, as every time somebody searches for new credit they increase their ability to acquire significant debt. Thankfully, not all credit checks are created equal and they do not affect FICO scores in the same way. A mortgage loan is not considered remotely close to store credit cards, which allow a person to get into more debt. Debts on mortgages only get lower as time goes on, ranking them very low on the list of things lenders consider bad credit. Every time a credit card company or consumer loan company pulls a credit check, the borrower’s FICO score will fall, but this will not happen when multiple mortgage lenders pull the same person’s credit score. This is because each credit card has the chance to accumulate debt, whereas only one mortgage will be taken out. So once a mortgage lender pulls your credit score, you will only receive one ‘ding’ even if other lenders pull your score afterwards. Here is the important part: there is only a 14-day window from the first credit check where all other credit inquiries will be ignored. So it is imperative to plan ahead and shop around within a two week period to limit the impact on your FICO score. Shopping around when looking for a new mortgage is a necessary step to getting the best possible deal, and thankfully the system is designed around not punishing people for doing this. It can be very intimidating to do alone and working with a professional mortgage specialist can relieve stress and get you the best deal on your new mortgage. If you have any questions please contact your trusted mortgage professional for advice on the right steps to getting your new mortgage. Last week’s scheduled economic news included reports on new and existing home sales, the FHFA House Price Index, weekly reports on mortgage rates, and new jobless claims. The week finished with a report on consumer sentiment. 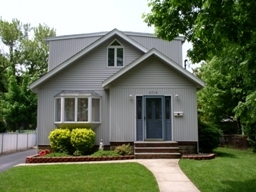 The National Association of Realtors reported that home sales for pre-owned homes fell in August. Analysts expected sales of existing homes to reach a reading of 5.52 million sales on an annual basis, but the actual reading was 5.31 million existing homes sold as compared to July’s reading of 5.58 million pre-owned homes sold. Rising home prices were cited as a primary reason for the drop in sales. FHFA’s House Price Index for July reflected the trend of rising home prices; July’s reading was 0.60 percent as compared to June’s reading of a 0.20 percent increase in home prices associated with homes with mortgages owned by Fannie Mae or Freddie Mac. Freddie Mac reported that average mortgage rates fell on Thursday; the rate for a 30-year fixed rate mortgage was 3.86 percent; the average rate for a 15-year mortgage was 3.08 percent and the rate for a 5/1 adjustable rate mortgage dropped by one basis point to 2.91 percent. Discount points were 0.70, 0.60 and 0.50 percent respectively. Jobless Claims Also Rise As Consumer Sentiment Fell. The number of Americans seeking unemployment benefits rose slightly last week yet remained at a low level consistent with solid job growth. The Labor Department says weekly applications for jobless aid rose 3,000 to a seasonally adjusted 267,000. The four-week average fell to a 15-year low last month. The University of Michigan says consumers lost confidence for the third straight month in September, worried about bad news about the global economy. Consumer sentiment index fell to 87.2 this month, lowest since October 2014 and down from 91.9 in August. Richard Curtin, Chief Economist for the survey, said consumers are worried about signs of weakness in the Chinese economy and continued stresses on Europe’s economies. This week’s economic reports include Pending Home Sales, the Case-Shiller Home Price Index, Core Inflation, ADP Employment and the government’s Non- farm Payrolls report. The national unemployment rate and Consumer Confidence Index for September are also slated for release this week. When making the decision to purchase a home, there can be an array of questions to ask regarding location, size, style and additional features that will complicate things. If one of the considerations among these is whether to buy new or old, though, you may want to be aware of new home warranties. While buying new can seem like a risk, this type of warranty may help make at least one decision easy when it comes to your home purchase. Currently, there are a number of places in North America where a third-party warranty or a builder’s warranty are now required so the quality of a builder’s work can be assured. While some builders may offer a warranty when you purchase a home through them, a third-party warranty that is guaranteed in many regions will mean that you don’t have to worry about paying out of your own pocket when a problem occurs with your new home. Generally, a new home warranty will include insurance on your deposit and a guarantee against flaws with the work, the materials or the structure that may appear down the road. While this type of warranty will commonly cover standard issues that can occur with a new home, there’s often the option for more extensive warranty coverage that will safeguard you in the event that issues beyond the basic appear. 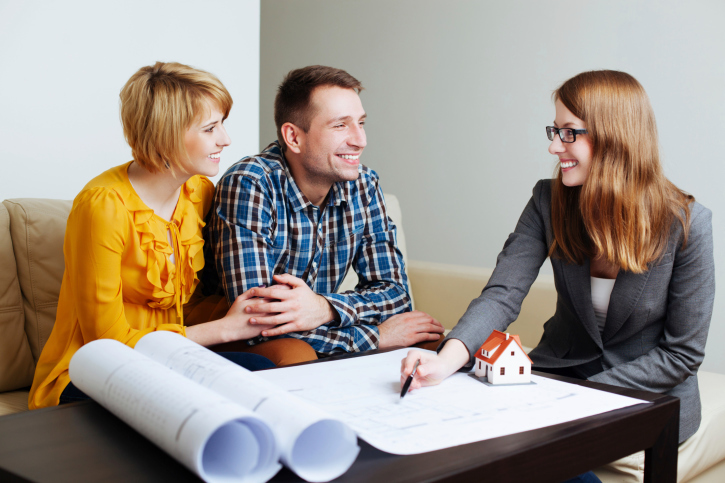 If you’ve decided on a new home, you will want to research your builder and choose one that is reliable, up-front and will follow-up on any issues you may have with your new home. Once your house is close to completion, you’ll have the opportunity to do a home inspection with the builder to take notes of any issues with your house – like a sticky drawer or a chipped cabinet – that may be present. The builder should be able to offer a completion date for these issues, and also provide you with information you need to keep your new house in tip-top shape. There are no assurances when it comes to buying a house, but new home warranties are a good guarantee that you’ll be covered in the event that a problem occurs. If you’re interested in learning more about making a new home purchase or this type of warranty, you will want to contact your trusted mortgage professional or real estate professional for more information. One of the major benefits to purchasing a home with a mortgage are the tax credits that can be taken advantage of when April 15 comes around. Many homeowners are unaware of what mortgage related expenses can be deducted and, more importantly, which ones can no longer be deducted. The most common tax credit associated with mortgages is the interest paid credit. This allows borrowers to deduct the cost of the interest paid on their mortgage on their taxes, which in many cases is the largest tax break available to homeowners. Interest paid deductions on taxes are available to second mortgages as well as first time mortgages and are available on home equity lines of credit as well as home equity loans. Unfortunately, as of 2014 any mortgage insurance paid was no longer considered tax deductible. This came as a shock to many borrowers who planned their finances around receiving the tax credit. Although mortgage insurance is no longer tax deductible, there are still other home related deductions that can be taken advantage of. Real estate taxes can be deducted the year they are paid and discount points purchased at the time of the sale can also be used as a deduction. The IRS treats discount points as mortgage interest that is pre-paid and allows deductions on certain loan types. There is a limit imposed by the Internal Revenue Service on how large a loan can be to qualify for an interest paid tax deduction. Any loan that is over $1 million dollars is not allowed to have the interest paid towards it deducted when tax time rolls around. This knowledge can be used to put the borrower in a beneficial situation in years to come when they plan to purchase a home. Limiting any loan to under $1 million dollars, no matter what the cost of the property, will allow the interest paid into it to be deducted the following year. The tax laws are always changing and differ from state to state, so it is advised to contact a mortgage specialist with knowledge on mortgage tax laws to provide more information on which deductions you qualify for. Sales of previously owned homes dropped in August by 4.80 percent on an annual basis for the first time in four months; the dip was likely caused by rising home prices. August sales were reported at a rate of 5.31 million; July’s rate was 5.58 million sales of previously owned homes. Sales of existing homes have risen 6.20 percent year-over-year; stronger labor markets and low mortgage rates were seen as contributing factors. Although economists expect the Federal Reserve to raise its target federal funds rate before year end, home sales are expected to stay strong through 2016. A Fed rate hike would mean that lending rates for consumer credit and mortgage loans would increase. Analysts noted that July sales of pre-owned homes hit a post-recession high and characterized August’s lower reading as a “hiccup.” Month-to-month readings often reflect volatility caused by transitory influences; analysts typically rely on month-to-month rolling averages to track trends in housing markets. Low inventories of homes for sale are likely keeping sales of previously owned homes from achieving their potential. In August, there were 2.29 million homes on the market, which represents a 5.20 month supply under current market conditions. August’s volume of available homes was 1.70 percent lower than for August 2014. The national median sale price for a home was $228,700 in August; this represents a year-over-year increase of 4.70 percent. First-time home buyers accounted for 32 percent of existing home sales in August as compared to a normal reading of 40 percent of existing home sales. 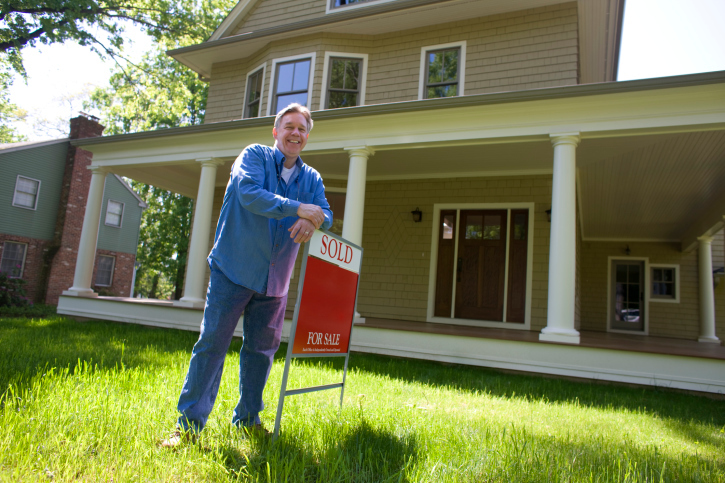 Investors purchased 12 percent of pre-owned homes sold in August as compared to a post-recession high of 25 percent. Less competition from investors should allow more owner-occupant buyers to purchase homes without being priced out of bidding wars. On another positive note, distressed sales of pre-owned homes comprised only 7 percent of sales, this is a strong indication that the tide of post-recession foreclosures is ending. FHFA, the agency that oversees Fannie Mae and Freddie Mac, reported that home prices of homes associated with mortgages owned or backed by the two government-sponsored entities rose by 0.60 percent in July as compared to June’s reading of 0.20 percent. Home prices were up 5.80 percent year-over-year in July, which is 1.10 percent below the peak index reading of 2007 and was near the November 2006 index reading. Year-over-year home price readings for the nine census divisions were all positive and ranged from + 2.20 percent in the New England division to +9.40 percent in the Mountain division. Month-to month house prices ranged from -1.20 percent in the New England division to +1.60 percent in the Mountain division. If not done properly, applying for a mortgage can be stressful and time consuming, but with the right preparation the entire process can be seamless. Here are some crucial pieces of information that almost any lender will require before approving a mortgage. One of the most important documents a borrower will be asked for is their federal tax return along with a signed Form 4506-T, which will allow the lender to contact the IRS directly for their version of the federal tax return to compare to the ones provided. This allows them to examine the documents for any sign of fraud. The mortgage lender will require proof of every current asset owned by the borrower. This will include any current real estate titles along with bank and mutual fund statements and documentation on current investments. Don’t be shy, every asset owned is a better sign to the lender. On the opposite side of the coin, the mortgage lender will also want to be made aware of any current debt. All debts, from major student loans to miniscule credit card debts, will need to be documented and given to the lender. It’s important to provide information on monthly payments that need to be made, even if it appears insignificant. Almost every lender will require a Form W-2 for the previous business year to see how much income was earned by the borrower. Many will require at least two years’ worth of W-2s to see if the income has been consistent. Alternatively, any self-employed borrowers will be required to provide profit and loss statements to show the current status of their business. Like W-2s, the lender may require documents showing profit and losses for at least two years if the business has been in existence that long. Having all your documents ready in advance to applying for a mortgage can go a long way to helping the process go smoothly. 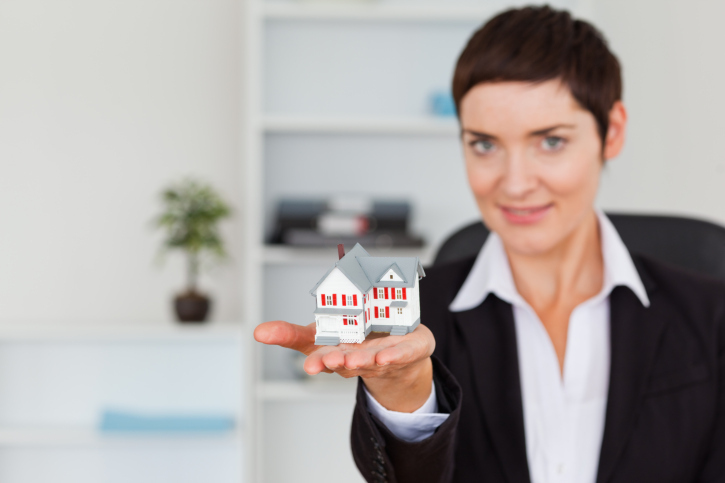 The documents needed for a mortgage change from person to person depending on their situation, so make sure you speak with a qualified mortgage professional in advance to get a better idea of which documents you will need to supply. Last week’s economic releases included several reports related to housing. The Wells Fargo/ NAHB Housing Market Index achieved its highest reading in nearly 10 years. Housing Starts dipped in August and Building Permits issued in August exceeded July expectations. The week’s big news was actually no news. 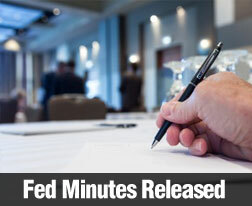 The Fed’s Federal Open Market Committee decided not to raise interest rates. Fed Chair Janet Yellen followed up on the FOMC statement with a press conference and said that the Fed is not yet ready to raise rates, but that a majority of FOMC members are prepared to raise rates before year-end. The Federal Reserve has set a goal of reaching an inflation rate of 2.00 percent as one of several considerations for raising the target federal funds rate that currently stands at 0.00 percent to 0.250 percent. The Consumer Price Index for August fell from July’s reading of 0.10 percent to -0.10 percent in August. Lower prices were driven by lower fuel costs. The dip in consumer costs was the first since January. The Core Consumer Price Index, which excludes volatile food and energy sectors, was unchanged at 0.10 percent in August, which matches analyst expectations and July’s reading. The Wells Fargo/NAHB Housing Market Index reached its highest reading since November 2005 with a one-point increase to a reading of 62 in September. Readings over 50 indicate that a majority of builders are confident about housing market conditions. September’s reading was the highest since November 2005, when the NAHB Housing Market Index achieved a reading of 68. The Commerce Department reported that August housing starts fell to a seasonally-adjusted annual reading of 1.13 million starts against projections of 1.16 million starts and 1.16 million housing starts in July. Residential building permits were higher in August with a reading of 1.17 permits issued for residential construction and 1/13 million permits issued in July. 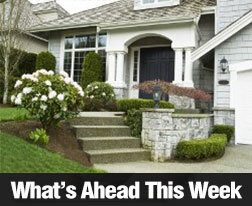 Freddie Mac reported that mortgage rates rose across the board last week. The rate for a 30-year fixed rate mortgage rose by one basis point to 3.91 percent. The average rate for a 15-year mortgage also rose by one basis point to 3.11 percent and the average rate for a 5/1 adjustable rate mortgage also rose by one basis point to 2.92 percent. Discount points averaged 0.60 got 30-year fixed rate mortgages, 0.70 percent for 15-year mortgages and 0.50 percent for a 5/1 adjustable rate mortgage. Next week’s scheduled economic news includes reports on new and existing home sales, FHFA’s House Price Index, along with regularly scheduled weekly reports on new jobless claims and mortgage rates. The National Association of Home Builders (NAHB) / Wells Fargo Housing Market Index reported that home builder confidence rose by one point to a reading of 62 for September. This was the highest reading since November 2005, when the NAHB reported a reading of 68 for home builder confidence. Any reading above 50 indicates that more builders are confident about housing market conditions than those who are not. NAHB notes that builder confidence has been growing at a moderate pace since July 2014; this is in line with economic conditions in general. Relatively low mortgage rates and stronger labor markets are helping would-be buyers with their decisions to buy homes now. The minutes of the Federal Open Market Committee of the Federal Reserve revealed that Fed policymakers have decided to wait on raising the target federal funds rate, which is currently set at 0.00 to 0.25 percent. While the FOMC statement indicated that policy makers acknowledge moderate progress in economic growth, a majority did not feel that the economy is ready to withstand a rate hike. When the Fed does raise rates, consumers can expect to see higher mortgage rates as well as increases in lending rates for credit cards and loans. FOMC members said that housing markets were growing at a steady but moderate pace, but that inflation was lagging below the Fed’s benchmark 2.00 percent level due to transitory effects of lower energy and import prices. The Fed expects that inflation will reach its 2.00 percent goal over the medium term and will not likely raise rates until FOMC members are confident that inflation will rise as expected. FOMC members continued to assert that any decision to raise rates will be based on close review of domestic and global financial and economic trends and will not be based on meeting the Fed’s dual mandate of achieving maximum employment and an inflation rate of 2.00 percent. Committee members also said that economic conditions could continue to warrant keeping the target federal funds rate below normal levels for the longer term. Fed Chair Janet Yellen gave a press conference after the FOMC statement concluded. She addressed questions about the Fed’s decision not to raise rates and said that concerns over global developments contributed to Fed policy makers’ decision not to raise rates. Ms. Yellen explained that a stronger U.S. dollar has caused deflationary pressures and increased competition for U.S. exports. The Fed isn’t overly concerned about global conditions at present, but changing circumstances could change the Fed’s likely intention to raise rates before year end. Buying a new home is an exciting time, but excitement can easily turn to stress if there isn’t enough money to pay the monthly mortgage bill. The added expense can take some time to get used to, but there are ways to make the payments easier, especially in those first few months when money is the tightest. This may seem like a counterintuitive tip for anybody looking for help making mortgage payments, but it is easily the best one and the one that provides the most trouble for homeowners. Late mortgage payments come with hefty fees that make it harder and harder to pay the next mortgage bill in full and on time. It’s a slippery slope that can end in foreclosure if the mortgage bills go unpaid for too long. What’s the first thing most couples do after finally purchasing their first home? If they moved in from a smaller apartment then filling in the empty space will probably be at the top of their list. Spending sprees are all too common after moving into a new home. There are extra rooms that need to be furnished and extra space that needs to be filled in with a larger television or another sofa. These purchases will severely limit the mortgage budget and could lead to late payments right from the start for anybody who gets carried away. Put a budget in place for new furniture and stick to it so that there is always money for the mortgage. The biggest change for anybody moving into a new home is the extra expenses they aren’t used to paying. Water, power, heat, air conditioning, internet and cable are all things that could be included when renting and once those bills start coming in it can be alarming. It doesn’t matter how careful they are, budgeting can take a huge hit if new homeowners are expecting to pay the same as they were in their previous home. Always wait the first few months before making any purchases to get used to the new monthly bills that will be waiting. Making mortgage payments starts with getting a mortgage you can actually afford. Make sure you consult with a professional who will be able to help you find the best deal and get a mortgage that won’t break the bank each month. You are currently browsing the KeithSargent's Blog blog archives for September, 2015.